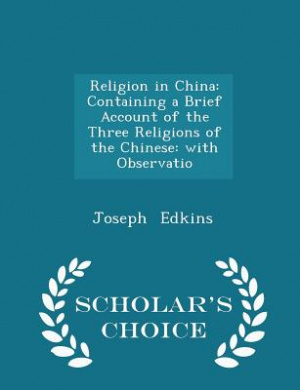 Religion in China by Joseph Edkins was published by Scholar's Choice in February 2015. The ISBN for Religion in China is 9781297139970. Be the first to review Religion in China! Got a question? No problem! Just click here to ask us about Religion in China.